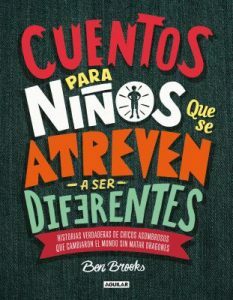 Esta colección inspiradora contiene las biografías breves de 100 hombres y niños famosos que han cambiado (o están en el proceso de cambiar) al mundo. Junto con las ilustraciones del estilo de cómic, las secciones son escritas de una manera emocionante y conmovedora que demanda la atención del lector. Quizás lo más impresionante es la diversidad de la gente escogida— artistas, atletas, científicos, y más de Siddhartha Gautama a Trevor Noah. This inspiring collection contains the brief biographies of 100 famous men and boys who have changed (or are in the process of changing) the world. Along with the comic book-style illustrations, the sections are written in an exciting and moving way that commands the reader’s attention. Perhaps the most impressing aspect is the diversity of its chosen subjects— artists, athletes, scientists, and more from Siddhartha Gautama to Trevor Noah. Pandora is a sweet and gentle fox who lives alone in a junkyard, fixing the broken treasures she finds. When she discovers a bird with a broken wing, she takes it home and nurses it back to health. But one day, the bird flies away and doesn’t return, leaving Pandora heartbroken. Will she ever be able to fix her broken heart? 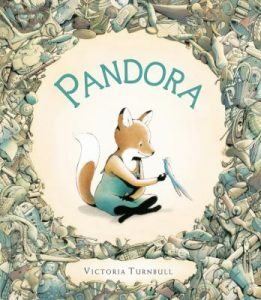 This touching story is full of beautiful illustrations that perfectly convey Pandora’s emotions. The text is simple and moving and invites us all to be kind as we connect with the people and beings around us. Fans of Marianne Dubuc’s The Lion and the Bird will enjoy the familiar story and detailed artwork. Ben Elf and Princess Holly are best friends. One spring day they find an abandoned egg. Not knowing what to do they gather their forest friends to come up with a plan. Together they decide it must be a bird inside the unhatched egg. 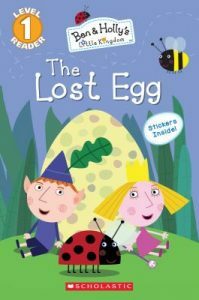 Find out how the group works together to hatch the egg and come up with a plan to find the baby bird’s mother. 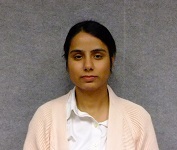 Along the way you will witness some very interesting solutions. 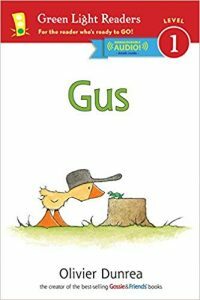 With a noteworthy setting and imaginative characters, this early reader provides an engaging format for the story. A helpful description of the characters at the beginning of the book additionally helps the reader to follow the story. Who wouldn’t love a surprise party thrown by a bear, a raccoon, and a squirrel? They have exotic delicacies like potato chips and orange soda! They even make hats out of pinecones! 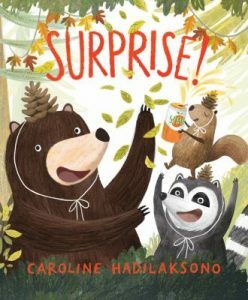 Find out what happens when a camping family stumbles upon such a scene in this hilarious book by the talented Caroline Hadilaksono. 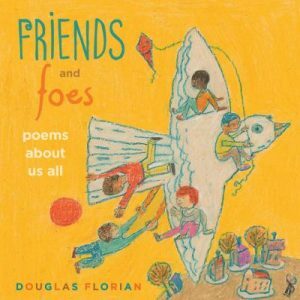 The ups and downs of friendship are described in poetic verse in this appealing collection of 25 poems. In an engaging and humorous manner, the author describes a range of friendship struggles including deception, diversity, sharing, and jealousy. 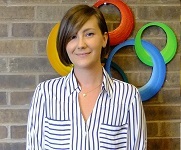 Other, more nuanced topics that are discussed with a sensitive flair include themes like imaginary friends, technology and friendships, and lost friendships. The collection of poems offers a comforting and fun-loving perspective to some of the most perplexing of friendship engagements. For instance, in the poem Give and Take, the reader is exposed to the inequalities found in relationships as is exposed in the following lines: “I gave you red rubies, blue sapphires, and gold. But you only sneezed and gave me your cold.” The crayon-etched illustrations perfectly punctuate the import behind the poems. Row boats separated by choppy waters and characters with woeful facial expressions are a good example of how an illustration can skillfully enrich the following poetry lines: “We used to be friends. We drifted away. Will we get back together some day”? With the many different literary choices with which to examine the complicated world of friendships, this book offers a distinctive and unique alternative. Fans of horror icons R.L. Stine and Mary Downing Hahn will love this unsettling and suspenseful story within a story. After young Ollie rescues a book from being tossed into the river by a mysterious woman, she decides to read it in order to understand why someone would try to destroy it. What she finds within is a terrifying tale that begins to mimic real life. 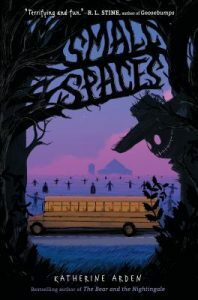 This is an atmospheric horror novel that doesn’t underestimate its audience by relying on cheap or childish gimmicks. Something magical is happening at library storytime. Children are anxiously waiting for stories to begin—but with Ms. Merryweather the librarian nowhere in sight, they decide to go and search for her. 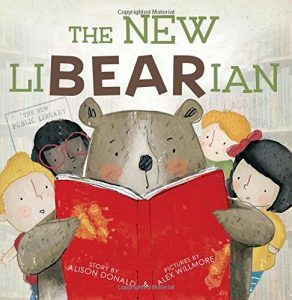 They find paw prints going down the stairs, leading through the bookshelves, and all the way to the librarian’s desk—which is sticky and covered with torn books… and then they see a new librarian! 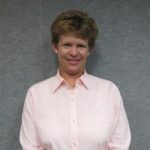 Who is it, and what happened to Ms. Merryweather, who is NEVER late? This picture book has a Lexile level AD510L for suggested ages from 4 to 7. 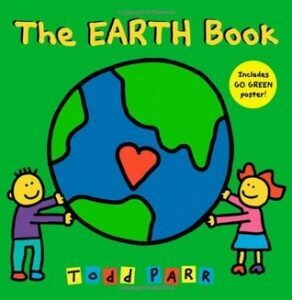 A colorful, bold picture book on our planet Earth, this quick read gives the young reader ways of caring for our Earth so that it will be around for the future. Todd Parr’s signature style fills the pages with his colorful artwork and youthful energy, as if a young child wrote and illustrated the book. In the back of the book, the reader will find a pull-out page of 10 green ways of helping to care for the Earth. This book is suggested for ages 4 to 8. Some other fun titles from Todd Parr include It’s Okay to Be Different, The Thankful Book, and We Belong Together : a Book About Adoption and Families. Gus, a small yellow gosling, likes to be by himself. He is quite an observant gosling who finds fascination in the smallest of things. His quiet intensity allows him to discover many wonders of nature including a spider spinning a web and a turtle digging a hole. Find out what leads to Gus ultimately breaking his solitude. This is a captivating, lovely illustrated early reader that helps us learn the merits of being present and sensitive to the beauty and wonder found in everyday experiences. When her Uncle Everton asks her to care for his dog while he is on vacation, Nicky finds herself the new owner of a lively dog named Barkus. Barkus is a particularly communicative dog who readily lets others know his wishes. 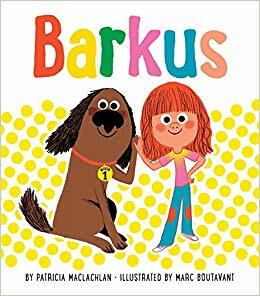 All who interact with Barkus, including Nicky’s parents and teacher, find him to be a very charming and dynamic dog, and he soon becomes a welcome addition to Nicky’s family and classroom. The relationship with Nicky and Barkus matures as Nicky becomes particularly attuned to Barkus’s moods and wishes. The story takes a new twist when Barkus, after looking noticeably bored one day, surprises everyone by bringing home a kitten. The reader will enjoy watching the special relationship grow between Barkus and the kitten, which he names Baby. This early chapter book offers the emergent reader a heartwarming story about how an engaging and companionable dog creates special relationships and becomes a valued and distinct member of a family. This is an intriguing mystery about two brothers and the bond that keeps their fates inescapably tied together. Pat O’Toole, the youngest brother, looks up to his quirky older brother, Coop. Coop has a somewhat unusual style and thinks quite differently than his peers. The story begins with Coop deciding to dig an underground tunnel in his backyard. Ultimately, the tunnel excavation ends in a near-tragedy when a gas line explodes in the process of digging. Coop’s unorthodox ideas leads to misunderstandings between Coop and his parents, and eventually Coop leaves his family abruptly to pursue a better understanding of himself in New York. 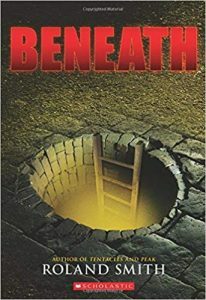 His fascination with the underground and his intense curiosity leads him to a unique and dangerous society that lives beneath New York City. When Coop is not heard from, Pat takes it upon himself to find his brother. A fast-paced mystery with many twists and dangerous scenarios will keep the reader involved. The dedication of the two brothers to each other is a heartening tribute to the strength and importance of family relationships. This is a moving true story about how an abandoned, undernourished race horse became an invaluable asset for a group of U.S Marines fighting in the Korean War. The tale begins when the Marines became concerned about how they were going to be able to haul heavy ammunition uphill to the new cannon they have acquired. Having limited resources, they attempted to train a scrawny mare who was left behind by his owner. In no time at all, the Marines discovered that the “new recruit”, who they nickname Reckless, will devour any type of food. This characteristic, while very amusing, also turns out to be extremely helpful in motivating Reckless to do things like duck incoming fire, retreat, and move forward up a steep hill with heavy ammunition strapped to her back. Could Reckless’s training hold up when confronted with the realities of booming canons and smoke-filled air? This is a wonderful story about the trust, love, and respect that can develop between people and animals. 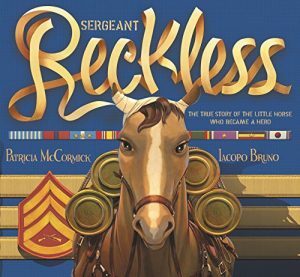 Discover how this very special horse was able to gain military rank, and earn two purple hearts as well! 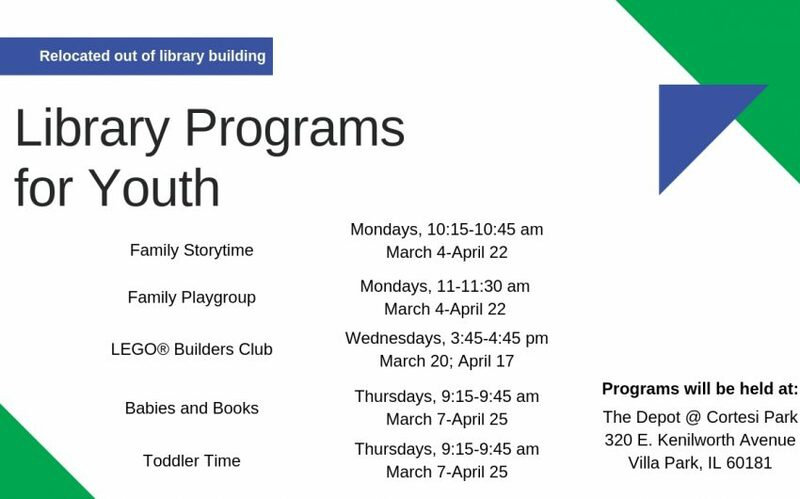 Looking for something new for your child to read? Are you a teacher looking for something to read to your children? 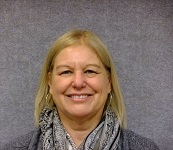 The Villa Park Public Library has a fantastic Readers Advisory staff that is happy to recommend all sorts of genres and titles. Whether you’re looking for new authors similar to old favorites, or you’re ready for something completely new, our staff is here to help. 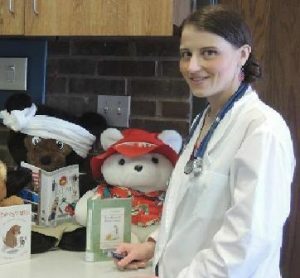 They organize fun programs like Toddler story and song time to help make reading a more social experience. These folks know their stuff! 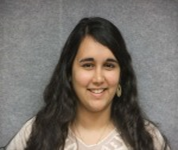 If you’re looking for a recommendation you can contact one of the readers advisory staff.